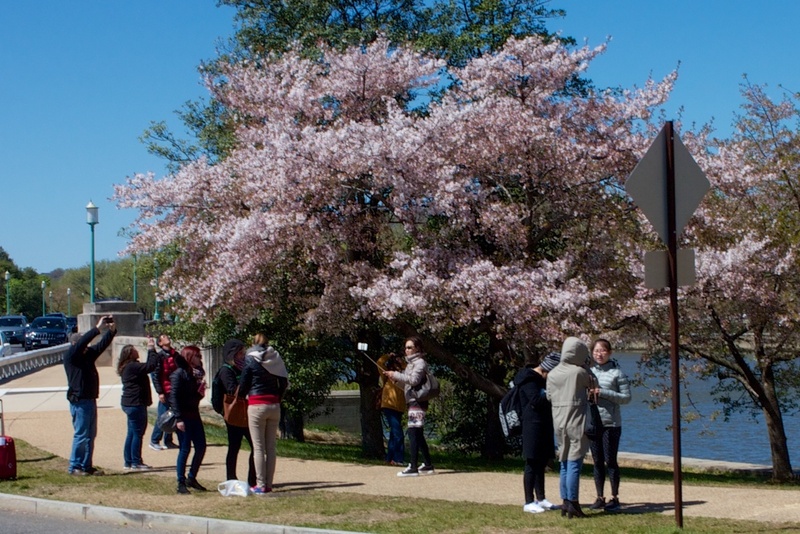 The National Cherry Blossom Festival is the number one event in Washington. Every year in late March and early April thousands upon thousands of visitors from all over the world come to bask under and photograph the charming trees. 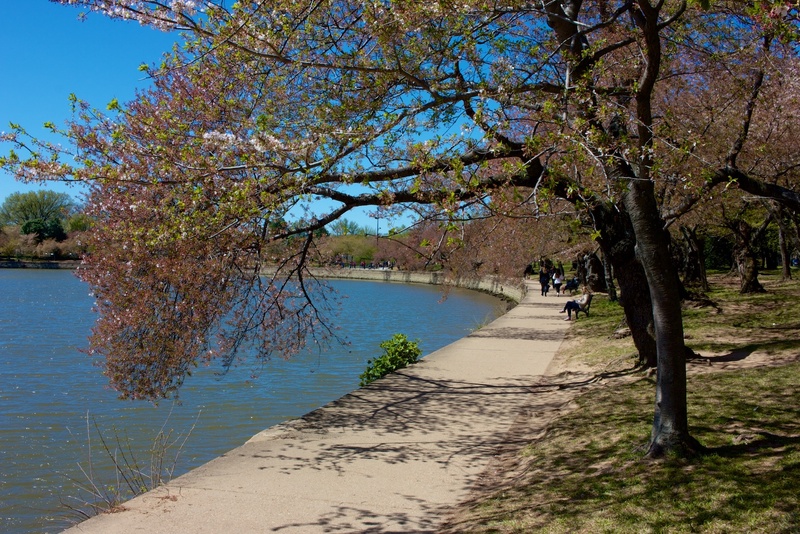 The cherry trees were planted near the Tidal Basin in 1912 as a gift of friendship from the people of Japan. The flowering trees are heavily admired in Japan, equated with the evanescence of life. These were the second set of trees sent from Japan, but the first set were found to be infested and were burned to avoid potential damage to native plant life. 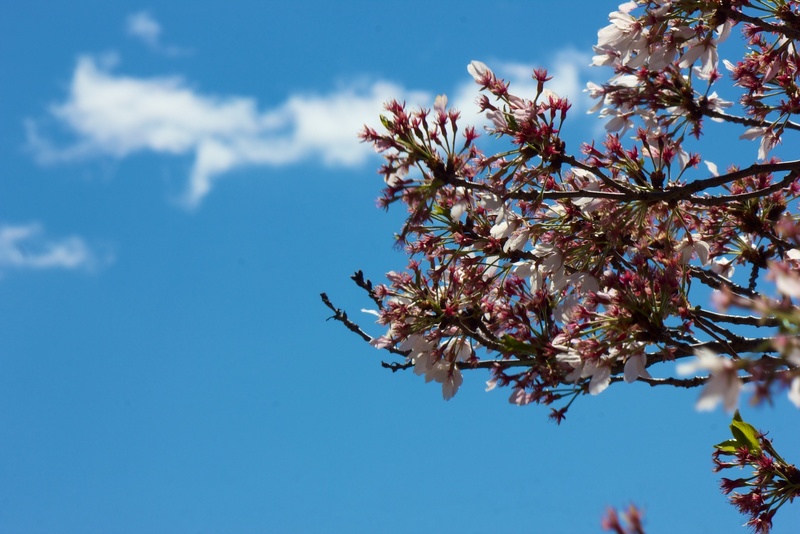 During World War II the trees were referred to as the “Oriental” cherry trees to try and stall any retaliation against them in protest to the Japanese involvement in the war. The shell game seems to have been successful as only four trees were damaged. The first Cherry Blossom Festival was held in 1935 and is now a yearly event. 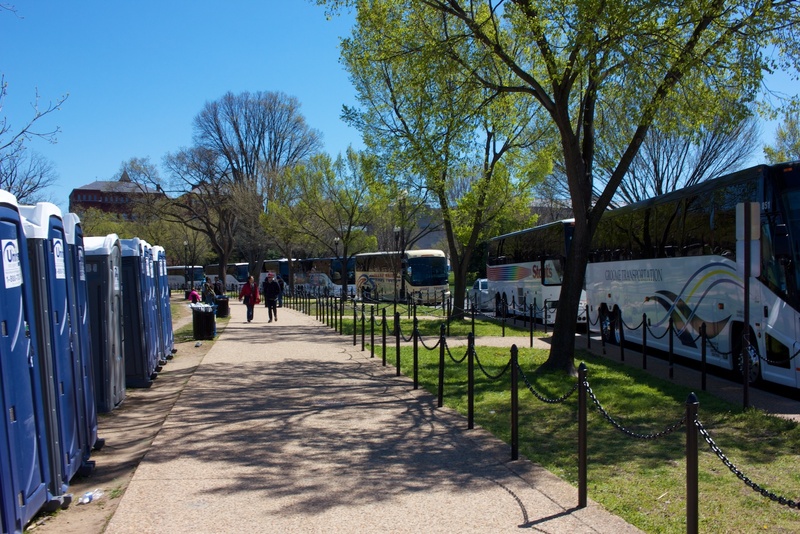 The festival itself runs from late March into mid-April – specifically March 20 through April 16, 2017 – although the actual blooming of the trees does not always cooperate. In 2013 through 2015 the blossoms didn’t reach full bloom until the second week of April although, in contrast, they hit that mark on March 20 in 2012 and March 25 in 2016. 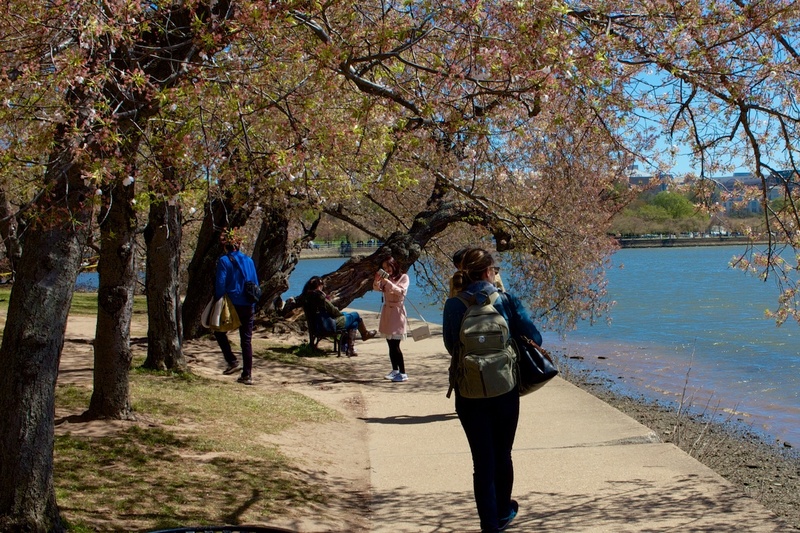 There is no way to be sure of exactly when full bloom will be, but as the festival is approaching start checking the National Park Service Cherry Blossom site for the estimated dates. Even if your visit doesn’t coincide with “full bloom,” any level of flowering is lovely and gives the impression that you’re walking through a magical forest. 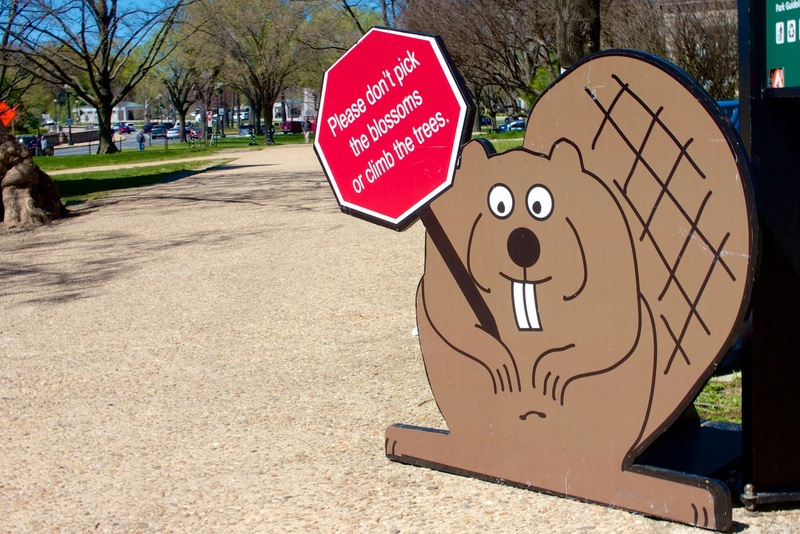 Unfortunately, the word is out about the cherry blossoms and festival time brings some of the heaviest crowds the National Mall area is likely to see. 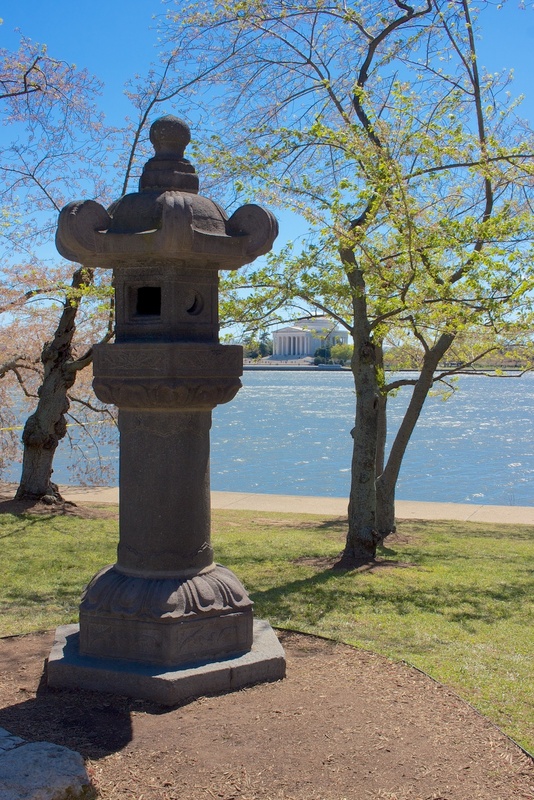 If you are visiting during the Cherry Blossom Festival, exploring the Tidal Basin early in the morning or in the evening is highly recommended. Several events take place during the Cherry Blossom Festival including a parade, fireworks, and many cultural performances. For the best information, check the official festival website.